"Don't be such a TOURIST!" JuJu Tours is an American-owned tour and event planning company based in Negril, Jamaica, rated #1 in Jamaica on TripAdvisor.com for three consecutive years. JuJu offers you an alternative to the ordinary travel experience, with private excursions to exciting locales most tourists never get to see. Our tours are famous for their laid-back vibe. Our tour guides are young, energetic professionals that know all there is to know about the island – you feel like you're seeing Jamaica with a fun-loving friend. JuJu has an array of tours to choose from - large groups, families with kids, couples - we have something for everyone. We offer private trips to the popular attractions while boldly promoting those that are a little more off-the-beaten-path; explore an authentic fishing village, share a beer with a local or swim in a secret swimming hole, the once in a lifetime adventures are endless. We also offer six exclusive and original adventures that you can't find anywhere else. "Don't be such a tourist" is more than just a tagline: it's our commitment to helping you step out of your comfort zone and embark on an unforgettable adventure. Here at JuJu we encourage our customers to safely step off the resort and out of their comfort zones. Facing their fear of heights, tasting that exotic seafood dish or simply sharing an authentic moment with a local, we cheer our guests on as they try new things and get in touch with their most adventurous spirits. While we're aware that Jamaica's reputation has room for improvement, we're dedicated to dispelling those negative rumors by enhancing visitors' perception of the country. This is done by introducing our guests to the places they'd most likely never go on their own and offering them the opportunity to safely experience the truth and beauty of the island. Showcasing and supporting local businesses is also one of JuJu's primary goals. We also give our guests the opportunity to give back to Jamaicans in need through our non-profit organization called The Good JuJu Project. We believe that new experiences lead to unforgettable memories. JuJu journeys often make for lifelong friendships and many repeat visits. As the King of Reggae, Bob Marley, once said, "You can't find the right roads when the streets are paved." So forget that commercialized experience and uncover the Jamaica you won't forget. Once an avid tourist of the island, native New Yorker Angela Eastwick has found happiness and success living and working in Jamaica. During her days as a vacationer, Angi would ask her Jamaican friends to take her to their favorite local spots, where she'd be able to experience the forbidden fruits of Jamaica - the places the hotels like to discourage their guests from seeing. Enchanted by the country's people and rustic charm, she not only yearned to adopt the Jamaican lifestyle but imagined there were probably many travelers who would enjoy the same unusual experiences. Her prediction was right. Six years later, Juju Tours continues to thrive. 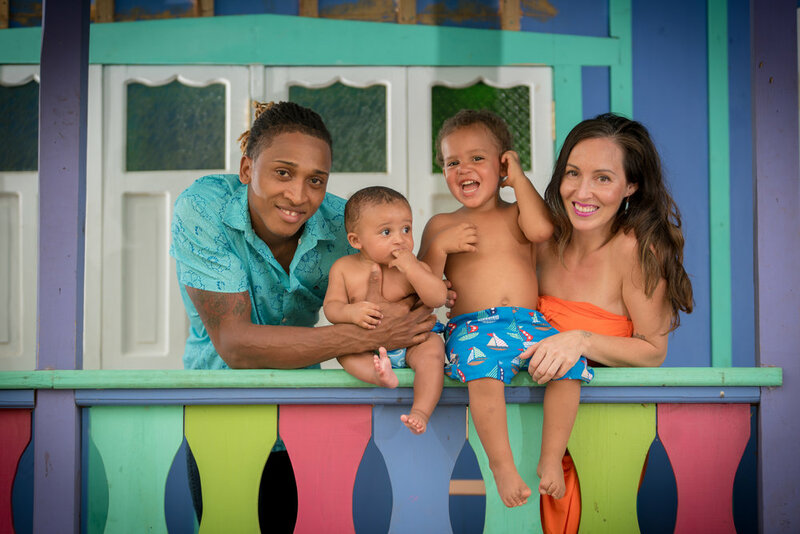 In 2013, with the help of her father, brother and fiancé Jermelee, Angi and family renovated and opened a boutique guesthouse called Somewhere West, located on Negril's West End. In addition to running Juju Tours and Somewhere West, she also owns a non-profit organization called the Good Juju Charity Project which focuses on giving back to the lesser-known Jamaican communities. Angi currently lives in Negril with her fiancé Jermelee and their son, Jesse. They are expecting their second child in October 2016.